"We see the rating as Europe's most efficient airport as recognition of our efforts to strengthen our position as the key hub of northern Europe. Denmark has many more airline routes than the size of our country and population would otherwise warrant. 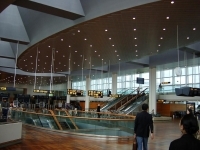 This is because Copenhagen Airport is an efficient hub and gateway to other world destinations for passengers from the entire Nordic region, the Baltic states, Poland, northern Germany and northern UK. Consequently, it is essential that we continue to develop Copenhagen Airport, and that we continue to reduce our customers' costs of operation," says Thomas Woldbye, CEO of Copenhagen Airport. The work to reduce our customers' overall costs of operating at Copenhagen Airport is a key element of CPH's World Class Hub strategy. "In our strategy, we focus on what we call Customer’s Total Cost of Operation, i.e. our customers' cost of operating at Copenhagen Airport. We are working constantly to increase efficiency at the airport while also focusing on reducing costs for the airlines, handlers, concessionaires and all other operators at Copenhagen Airport," says Thomas Woldbye.